Southern California Gun Monthly Deals! We update our firearm deals monthly, so check back often to see the latest! Want to sell your gun? Have unique or collectible firearm? We offer a consignment option which will maximize your return. We have a huge selection of Civil War era pistols and rifles. Amazing opportunity to own a piece of history! These are 100% authentic and working condition. 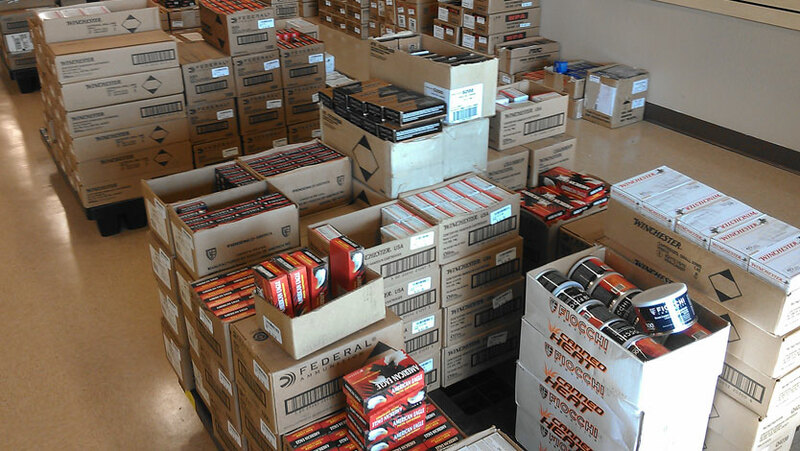 We have one of the largest gun inventories in San Diego County! We're centrally located in the heart of the Convoy/Kearny Mesa area and service the greater San Diego community. We buy all types of used guns. Wanna sell your gun? Give us a call. Have unique or collectible firearm? We offer a consignment option which will maximize your return. We offer a full line of new and used firearms from an array of gun manufacturers, including Ruger, Smith & Wesson, Glock, Springfield Armory, Beretta, Colt and many others. While inventory levels permit so don't delay! We have Green glocks in 17, 19, 22 and 23 models. The TRP series of 1911s from Springfield Armory are serious tools for the most serious of applications. Subject to stock on hand! Great Deals on Accessories and Ammo! View our used gun selection! SoCal Gun has a huge selection of used firearms. We've recently ramped up our used inventory, so check it out and save BIG!!! How much ammo will YOU need? Calculate the following and be confident to stay off the DOJ's radar!